Managed cloud, hosting and connectivity specialist Pulsant has bought out Scottish colocation provider ScoLocate. The move has boosted Pulsant's operational scale with the addition of ScoLocate's 75,000 sq ft data centre facility and support team. Pulsant said it is part of its strategic growth programme to become one of the UK's leading data centre services provider. It brings the Reading based firm's nationwide network of data centres to 10, and provides its customers with access to a number of regional centres. ScoLocate's data centre in Edinburgh hosts over 30 telecommunication carriers. All of its 25 staff will join Pulsant. The latter said this also makes it the first supplier to be able to deliver services from wholly owned, dual sites in Scotland. It already runs another data centre in the Edinburgh area. 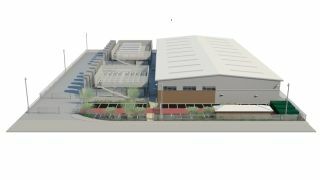 Its combined business will have 240,000 sq ft of data centre space and a total rack capacity in excess of 4,000. It will now service more than 3,000 public and private sector clients directly. Mark Howling, chief executive officer of Pulsant, said: "ScoLocate is a fantastic acquisition for Pulsant - and a great fit in terms of culture, customer-centric approach and facilities. Not only does it support our UK data centre presence by adding outstanding network connectivity and additional data centre capacity, it also provides us with a strong team of like-minded, highly skilled individuals who are experts in supporting data centre services."